Supplementing your plants with extra CO2 can increase your yields and growth by up to 20%, but what's the best way for a cannabis grower to use CO2? There's the right way and the wrong way to use CO2, and unfortunately a lot of people use CO2 in the wrong way and not getting any of the benefits! This cannabis grower uses CO2 injection to increase yields! 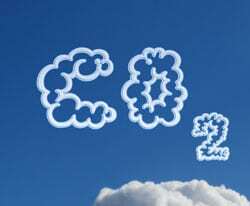 CO2 is short for "Carbon Dioxide," an odorless gas that’s in the air you’re breathing right now. Cannabis plants need CO2 as part of the process of making energy from light via photosynthesis. Without CO2 your plants will "suffocate" and die. That's part of why it's so important for your plants to get plenty of fresh air. For growers using lower powered grow lights (like CFLs or fluorescents), there's often more than enough CO2 in regular fresh air for your plants to be able to process all the light they're being given. If your plant doesn't need more CO2, it won't help very much to add more because they've already got more CO2 than they can use. 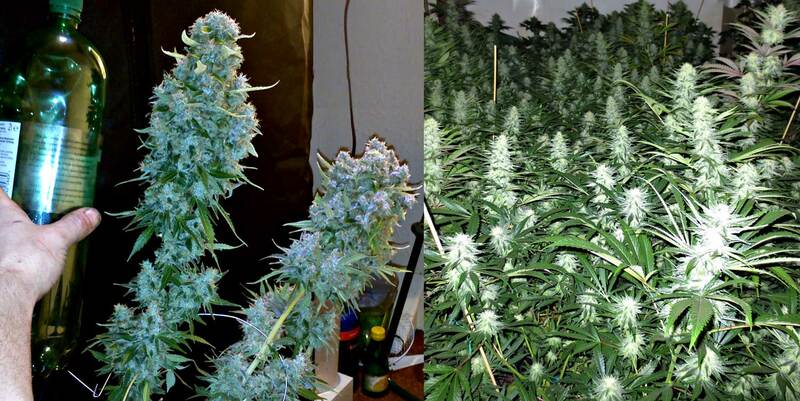 But things are different when there's more light being provided than your cannabis plant can naturally use. In high-light situations, supplying more CO2 can allow your plants use more of that light, which results in increased photosynthesis. By getting your plants to produce more energy from the same amount of light, they'll reward you with faster growth and bigger yields! As an added bonus, supplementing with CO2 in this way makes your plants more resistant to heat and light stress! One of the downsides is that supplementing with CO2 can be expensive. So before you start adding CO2, it's a good idea to figure out how much, if any, you should be providing to get faster growth. CO2 Supplementation Works Best With MH/HPS and LED Grow Lights! Fun Fact: Instead of lungs, plants use hundreds of tiny pores in the leaves (known as stomata) to get CO2 out of the air. As a byproduct of photosynthesis, plants release oxygen back into the air. The photosynthesis process generates most of the oxygen in our atmosphere. Without plants using CO2 for photosynthesis, we would have no oxygen to breathe! Bigger Yields, Faster Growth – If you’ve maxed out the other limiting factors (especially light), CO2 can make your plants grow up to 20% faster, produce bigger plants, and enhance your yields. Higher Temperature is Okay – Maintaining 1200-1500 PPM of CO2 in the grow area allows growers to keep temperatures much higher than normal, up to 95°F (30°C). 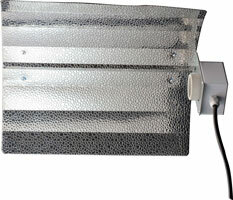 For growers with hot bright lights, this can make it easier to keep temps at a range their plants will like. Security – CO2 enrichment can be beneficial for security if you seal your grow room since you’re not venting out smelly air. Certain methods of adding CO2 like using a CO2 generator will also create natural smells that help cover up the smell of cannabis directly. Not As Effective If You Don't Have Bright Grow Lights – As far as light intensity is concerned, you probably need either MH/HPS or strong LED grow lights to produce bright enough light for your plant to be able to use the extra CO2. CFLs and T5s probably aren't bright enough to get great results with CO2. May Need to Seal the Grow Area – Although adding just a little CO2 doesn't require a sealed room, when trying to maintain very high levels of CO2 (like 1200-1500 PPM) you probably need to seal up grow area so it’s airtight in order to prevent CO2 from leaking out. Cost of Adding Extra CO2 – It can be expensive to get started if you want to inject a whole lot of CO2 into your grow area, for example in big grow operations. 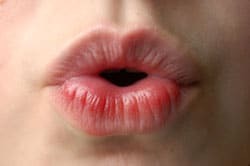 The cheapest ways to add CO2 are actually not very good at providing a lot of CO2 over time, but can be a great way to "dip your feet" and try CO2 out. The best CO2 setups in the long run are a bit more pricey to get started with, though they become a lot cheaper once you've got your initial supplies. CO2 supplementation works best when everything else in the grow space has already been optimized, and for most growers, a little optimization may result in even bigger returns on yields than adding CO2! 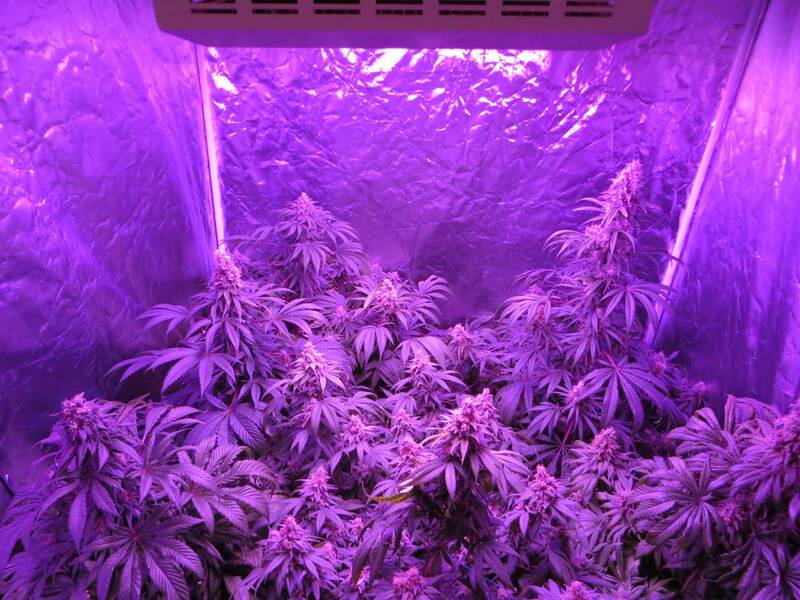 If you're using smaller grow lights with lower light levels, you will need less CO2! Plants should have fast & healthy growth – No nutrient problems and no pest problems if possible. It will also maximize your yields by using plant training. Healthy and vibrant plants respond really well to extra CO2! Now let's learn how to use CO2 enrichment right because I've seen a lot of misinformation out there, causing many cannabis growers to waste a lot of money on ineffective CO2 methods. I want to help you set it up the right way and enjoy the benefits! After years of research and study by commercial greenhouse growers, we've learned exactly what's needed to get the benefits of extra CO2. Today I will share everything I wish I’d known about CO2 when I started growing, so you'll know exactly how you can use CO2 for faster growth and increased marijuana yields. Let's get started! Beware! Some people (especially companies selling poor CO2 products) will try to trick you into thinking that CO2 is some magical supplement you add to your grow room to make plants grow better. Unfortunately this is not the case! There are good ways to add CO2… and there are ineffective ways. 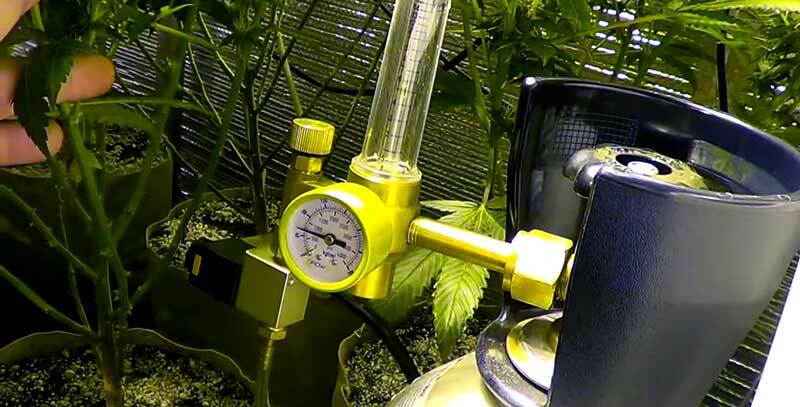 The two most effective CO2 enrichment methods are using a CO2 generator or buying tanked or bottled CO2, combining your enrichment method with a CO2 regulator or timer. This lets you automate everything. Don't worry, we're going to walk you through the whole thing. A good rule of thumb is you should have 7,500-10,000 lumens per sq foot in your grow area to get the full benefits of enriching with CO2 when supplementing with 1200-1500 PPM. 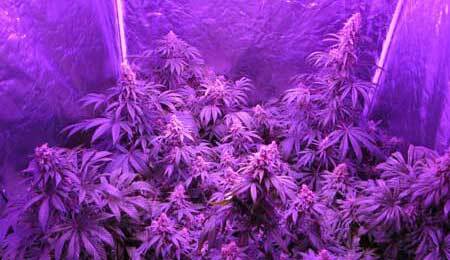 You need high-powered grow lights like HPS bulbs or bigger LEDs for this rule to hold true. If you're using less light, you'll need less CO2 to be effective, though you won't be getting as much an increase in growth compared to if you were using stronger lights. To figure out if you have enough light to supplement up to 1200-1500 PPM of CO2, determine out how many lumens your bulbs gives off. Then find the square footage of your space (length x width). Lumens/square footage should equal 7,500-10,000. Regular air only has about 400 PPM of CO2 so if you don't seal your grow area, any CO2 you add will slowly leak out. While this isn't important if you only plan on adding relatively small amounts of CO2, if you want to maintain high levels of CO2 up to 1200-1500 PPM of CO2 in the air, you should seal your grow space in order to prevent yourself from wasting lots of CO2. Temperature – If you're supplementing at the highest levels, many growers recommend maintaining temperatures between 85°F (30°C) and 95°F (35°C) in your grow space for extra CO2 to be most effective, though it's important to watch plants closely for signs of heat stress as some plants can handle heat better than others. Humidity – You should keep humidity below 60-70% to prevent mold and other problems. Although most grow rooms don't have humidity this high, I mention this because keeping humidity low can be difficult if end up creating a sealed room. So for bigger operations some growers may need to use a dehumidifier. This means that you need to get rid of any possible air leaks when the grow space is closed. If You Do Want to Seal Your Room, Get the Right Hood/Reflector! Most growers need to cool their lights to keep temperatures in the right range. 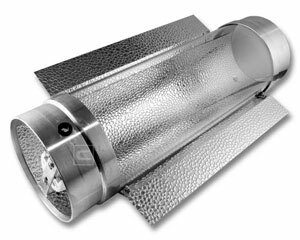 When chosing a reflector for your grow light, it's important to get one that is able to be cooled via ducting, without letting any of that air get inside the grow room and bring down your CO2 levels. If all the air in your grow space is being re-circulated constantly, the CO2 levels start to drop as your plants use it up in the photosynthesis process. In this case you may want to supplment CO2 in an open room. Bat wing reflectors are a common choice, and they'll let you keep several grow lights in an open room that's being supplemented with CO2. A winged hood is basically just a reflector with a socket for your bulb and a plug to connect to your ballast. They are the simplest type of "hood" for HID grow lights and also tend to be the least expensive. However, wings aren't good for controling heat because they do not contain the heat from the bulb (like the next options you'll see listed here) and they also have no built-in cooling features. With a winged reflector, the heat from the bulbs will basically be radiating downward from the bulbs onto your plants with nothing in between to shield your plants from the heat. One cool thing about batwings is that since they do not have glass between the bulb and the plants, they can deliver up to 10,000 lumens or more than the same bulb in an enclosed hood because the light doesn't have to pass through the glass before it reaches your plants. But since they're hard to cool you may have to keep them further away from your plants, which diminishes that benefit. When it comes to your grow lights, a "Cool Tube" style hood is an effective reflector when a bigger hood reflector won't work, but you need to keep the air cooling the grow lights separate from the air in the grow room. With a Cooltube, you can use ducting to bring cool air over your light from outside the grow space, then vent the hot air out without even touching the air in your grow space. This means that you need to get rid of any possible air leaks when the grow space is closed. The only air getting in or out should be the air moving over your grow lights. You will keep this air segregated from your grow space by using ducting hooked up to the right type of reflector. Cooltubes can keep your plants and grow lights cooler by trapping air and allowing it to be easily exhausted. They are suitable for CO2 enrichment because they let you exhaust heat from your grow lights without letting outside air touch your grow space. Some cooltubes even come with an extra large reflector, which directs even more light down to your plants. Air-cooled hoods have piece of glass or plastic which keeps hot air contained near the bulb (and away from your plants). These would be used in the same situation as the cooltubes, though these usually are more effective at reflecting light downwards. Many air-cooled hoods (like the one pictured here to the right) have the ability to be hooked up to ducting on both ends, which allows these hoods to be used for CO2 enrichment. 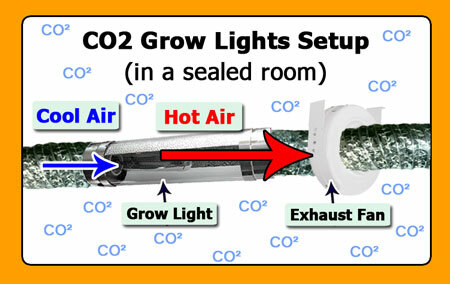 In other words, after you’ve sealed your grow room away from your lights, you can set up an intake and exhaust fan to blow air cool over the lights and have an exhaust fan vent out the hot air without also venting out all your CO2. 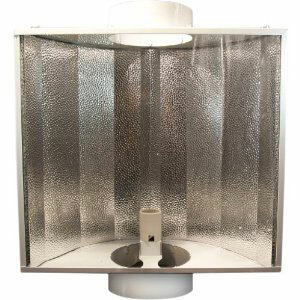 Once you get your reflector, use ducting to allow air in and out of the sealed grow space, with the grow light & hood in the middle to rain light down over your plants. You should maintain high temperatures, between 85°F (30°C) and 95°F (35°C). When you’re adding CO2, especially higher amounts, you will get the best results at higher temperatures. Normally you want your garden to be a comfortable room temperature, but when adding CO2 at very high levels, you want to keep temps above 85°F (30°C). 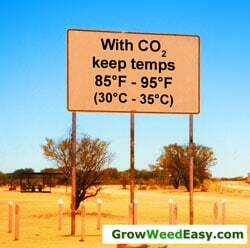 Many growers recommend you keep temps as high as 95°F (35°C) when maintaining CO2 levels around 1200-1500 PPM. If the temperature is lower than 85°F (30°C), you won’t seeas much benefit from adding CO2. However, since you must seal your grow room to keep all the CO2 from escaping, it'll likely be easy to keep temps that high when you're running your grow lights. For growers supplementing smaller amounts of CO2, it isn't recommended that you specifically try to raise the temperature of your grow space, but the CO2 can help protect your plants from heat and light stress. No matter what, watch plants closely for signs of heat stress and react accordingly! CO2 should “fall” onto plants from above if possible. CO2 is heavier than air and will sink to the bottom of your grow area, so you you want your CO2 to float down onto your plants. That means any CO2 enrichment method should be located above your plants. You’ll get the best results when you make sure CO2 is evenly dispersed over your plants. A small fan on the floor pointed upwards can help keep the CO2 circulating through the room and floating over your plants. CO2 Generators and Compressed CO2 are the most effective ways to add CO2 to your grow area. I do not really recommend any of the other methods except as a way to try out CO2 for the first time without having to make a big investment. Important: Avoid breathing the CO2! Concentrated CO2 is bad for humans and can kill when it reaches 1% of the air. Although you should be using safe amounts of CO2 in your cannabis grow room (which should be more like 0.15% of the air), you might as well make sure you're safe. I recommend planning your setup so you can avoid breathing in the air in your sealed grow space for any length of time. Keep living areas well-sealed from the grow space. 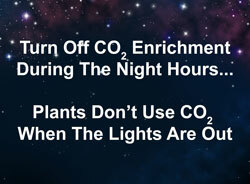 Plants actually stop "breathing in" CO2 at night, so you can turn off your CO2 enrichment system when the lights go out! Save money by having your CO2 enrichment turn on a half hour after your lights do, and turn off a half hour before your lights turn off. In other words, have your CO2 off for about an hour longer than your dark period. This will save you many hour’s worth of CO2 injection each day and in tests has proven this will not affect the CO2 effectiveness. In this section we'll cover exactly how CO2 affects marijuana growth at different stages of life, and what you can do to maximize your growth and yields. 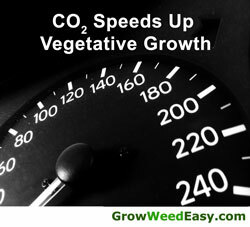 CO2 is most effective at increasing the speed of vegetative growth, so adding extra CO2 is a great way to grow bigger plants in less time during marijuana’s vegetative stage of growth. In the vegetative stage, just keep CO2 going during daylight hours, raining down over your plants. There's not much else to it! Almost all growers seems to agree that you can get increased growth and bud production by running CO2 during the first 2-3 weeks of flowering. After flowering is fully underway, some growers believe that CO2 is less effective, and it’s true that so far no one has been able to prove that CO2 can directly improve bud production beyond the first few weeks of the flowering stage. However, a lot of growers feel from personal experience that running CO2 does increase bud production. Some growers recommend that you keep running CO2 all the way until 2 weeks before harvest. There are a variety of ways to add CO2, some of which are better than others! A CO2 generator burns propane, ethyl alcohol or natural gas to produce CO2 for your grow space. In order to burn enough fuel to reach the proper CO2 levels, you sometimes run into adverse side effects, such as producing an unhealthy amount of dangerous carbon monoxide. It's important to only use safe ways of generating CO2. It’s dangerous to store your bottled fuels indoors (some people are able to use their municipal natural gas, and don’t need to store fuel, which makes this point moot for them). Note: The cheaper methods of CO2 generation (like burning denatured alcohol in a small stove) make CO2 hard to regulate and can be very unsafe…. Don't use these methods! Only use a professional CO2 Generator! Because these methods use an open flame and combustion to produce CO2 in a sealed area, there are many safety and fire concerns with this method. 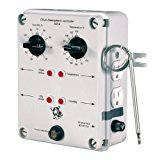 It's highly recommended that you buy a CO2 generator that has safety features to help prevent fires. Compressed CO2 usually come in bottles or tanks. Compressed CO2 can be one of the most controlled ways of injecting CO2 to your grow space. You can enrich the air with CO2 beyond what’s safe for plants or people, so you must use great care to keep the PPM in the right range, and to avoid breathing air in your sealed grow area. Fermentation uses natural processes to produce CO2. CO2 bags use mycelial mass (fungi) growing on organic matter to produce CO2. Even in a very small space, growers may need to hang 4-5 or more bags (or more!) over their plants in order to achieve the right PPM in their grow area. Some growers use the composting process, which produces a small amount of CO2. With home-made compost, it's very difficult to know if you're even adding a significant amount of CO2. Dry Ice is made of cold, solid CO2. As it warms up, it releases that CO2 into the air. While this method can be effective in the short term, it can be incredibly expensive and time-consuming to keep this method going for long. Note: Breathing in the Grow Room Does Not Work! Humans breathe out CO2 with every breath, and since that CO2 is free, it can be tempting to think you can add extra CO2 to your grow room, all natural, with no equipment needed. Unfortunately this likely won't add enough extra CO2 to be make a difference. It's good to spend time with your plants, in fact I love hanging out in the grow room, but breathing on your plants probably isn't going to make them grow any faster. When people are talking about how much CO2 is in the air, they generally measure in “PPM” or “parts per million.” In regular air, the amount of CO2 is approximately 300-400 PPM (about 0.03-0.04% of our air is CO2). But to get benefits from adding CO2 to your grow room, you need to add enough extra CO2 to maintain 1200-1500 PPM (0.12-0.15%) of CO2 in the air. When CO2 concentrations get even higher, to 10,000 PPM (1% of air), it becomes poisonous to animals. Humans will suffocate at levels that high. In some cases greenhouse growers will use this to their advantage by raising the CO2 concentration to 10,000 ppm or more to kill bugs like spider mites (but of course they're careful to keep humans and animals far away!). But since you'll be using much lower concentrations of CO2, it is very unlikely you'll ever expose yourself to negative effects. It's still always a good idea to protect yourself by staying out of the grow space as much as you can and otherwise reducing how much you breathe CO2-enriched air. How can plants use more CO2 than what’s found naturally in the air? A long time ago, there was a lot more CO2 in the air than there is now. Some scientists believe that this is why many plants can take advantage of more CO2 than what’s naturally found in the air. Why is CO2 enrichment only effective during the “day” period? Cannabis doesn't use CO2 when there's no light. Like nearly all plants, marijuana stops using CO2 during the night (dark period). CO2 is primarily used in the day by the plant as part of photosynthesis (turning light into energy), so if there's no light, there's little need for CO2. Therefore, flooding your grow area with CO2 during your dark period can be a waste of time and money. CO2 mainly provides benefits when the lights are on. Why do you need powerful grow lights for CO2 enrichment to be most effective? It’s common for growers try to add CO2 to their grow area, without realizing that something else is limiting the growth of their plants. Adding CO2 won’t help anything unless you’ve already maxed out other limiting factors, such as light intensity. Without big powerful grow lights, most growers aren’t able to achieve the right light intensity marijuana can naturally use at regular CO2 levels. Max out on almost all other growing factors and eliminated major growing problems to see the biggest benefit from adding CO2. I’d like to point out that there are many free ways to increase your marijuana yields, such as plant training techniques, and mastering these first may even be more effective in increasing your yields than adding CO2. 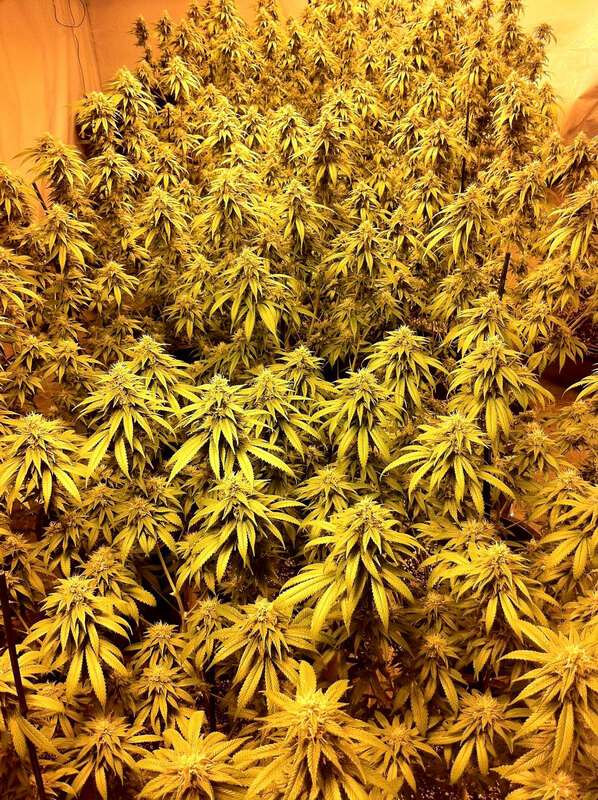 Before you consider CO2, you should eliminate any plant problems from your grow. I’d say that the number one way to increase your yields is to prevent plant problems. If you’re suffering from plant problems like too much nitrogen or nutrient deficiencies, you should start here when considering how to increase yields, since these will negatively affect your yields much more than any benefit you get from CO2. Your plants can only grow as much as allowed by the lowest limiting factor, and often that factor is something else besides CO2. Yet if you have already perfected the other factors of your grow, then adding the right amount of CO2 has been shown to increase overall vegetative growth by up to 20%. If you’ve maxed out your limiting factors and sealed your grow room, than adding CO2 could be the final piece to take your grow to the next level, providing you with quicker harvests, bigger plants and enhanced yields. Have I already eliminated all problems from my grow such as nutrient problems, bugs, etc? Have I already mastered (easy and free) growth control methods to increase my yields? If I want to supply CO2 levels up to 1500 PPM, am I willing to seal up my grow area so it’s airtight? Can I maintain temperatures between 85°F (30°C) and 95°F (35°C) in my grow area? Can I keep humidity below 70% in vegetative and 60% in flowering in my sealed room while running CO2? If your answer is “Yes” to all those questions, than CO2 enrichment may be a great choice for you and your garden! Use Only the Best CO2 Sources! So you’re ready to add CO2 to your cannabis grow room? These are the two methods used by commercial and pro growers who are serious about CO2 injection. Compressed CO2 usually comes in metal containers that are under high pressure. It’s often cheaper to buy compressed CO2 from a welding supply store as opposed to a gardening or hydroponic store. The most expensive part about adding CO2 to your grow room with compressed CO2 is the initial investment in parts. After that it's pretty cheap to refill your CO2 tanks. While it is expensive to get everything up front, a single tank of compressed CO2 could last several grows by itself, and refills are cheap when you find the right place. If you have an automatic CO2 PPM monitoring system, it's simple to maintain the CO2 levels that you want. If all you have is a compressed CO2 with a regulator and timer, you'll want to inject the room with CO2 for small periods of time while the lights are on, using your timer. You may have to measure the PPM of CO2 over time and keep adjusting how much CO2 is released until you figure out how to maintain a CO2 PPM between 1200-1500 PPM. The nice CO2 tanks can be hooked up to a meter (a CO2 PPM meter) that measures how much CO2 is in the air and adjusts your CO2 output as needed. 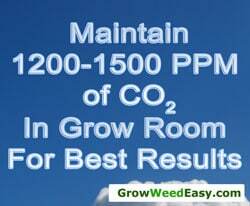 For plant growth, you want your CO2 to be between 1200-1500 PPM. The meter is attached to your CO2 tank, and it will start injecting more CO2 into the air above your plants when CO2 levels drop below the optimum. This effectively automates the whole system. Bottled CO2 can be purchased at many hydroponic or welding stores. These can come with a regulator/flow meter which you will need to adjust in order to output the correct amount of CO2. A CO2 generator burns propane, natural gas or occasionally denatured alcohol. This creates a chemical reaction that produces CO2 + water vapor. The cheaper methods of producing CO2 this way (such as a bunsen burner) use an open flame, which is a terrible fire hazard, especially considering you are keeping temperatures above 85°F (30°C) when flooding your grow area with extra CO2. Because of the hot temperature and the electrical equipment and water that are already in your grow area, I highly recommend NOT adding a cheap CO2 burner into your grow room and risking a fire. However, more advanced CO2 generators have been specifically built for gardening applications, and these are a much better choice for a gardener as they’re built with many safety features. They may be water cooled, have an automatic shut-off feature, include a valve to handle municipal gas, an overheating sensor, a tipping sensor, and more. Please note: As you’re burning propane or natural gas to get CO2, this chemical reaction also adds water vapor into the air and increases your humidity. The increase in humidity is even greater when you generate a lot of CO2 or have a very small grow area. This extra humidity can become problematic in some cases, especially since you must seal your grow area to keep the CO2 inside. If you’re not carefully monitoring the humidity, you may put your plants at increased risk for mold (remember, humidity should always be below 70% in vegetative, and below 60% in flowering). A strong dehumidifier may be what you’re looking for in this scenario. Some CO2 controllers can be integrated with a complete climate controller (often sold for people growing with hydroponics). A climate controller can monitor and adjust your fans, CO2 injection and other factors so you automatically maintain the right temperature, air movement, humidity and CO2. If you’re not going to use a controller (which is what you want to do if you can afford it,) you will need to calculate how much CO2 to add to your grow area and use a timer to control how much CO2 gets added. Calculate the volume of the growing area by multiplying width x length x height. 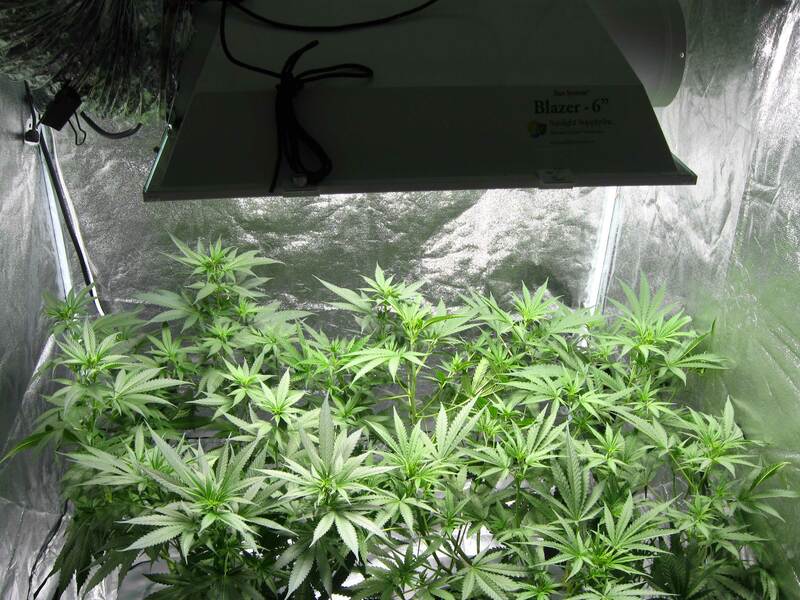 Example: If you had a closet that was 5 ft x 4 ft, and the ceiling is 8 feet high, you would multiple 5 x 4 x 8 = 160 cubic feet of space in your grow area. Determine the CO2 needed to enrich room to 1200 or 1500 ppm by multiplying the volume of space by 0.0012 or 0.0015 respectively. Example: So to get 1200 PPM of CO2 in my 160 cubic feet closet, I’d multiple 160 x .0012 = 0.768 Thus, 0.192 cubic feet (or you can round up to 0.2 cu ft) of CO2 will be needed to bring the CO2 in this room up to 1200 ppm. When you’re buying tanks, 1 lb of CO2 is equivalent to ~8.5 cu ft. 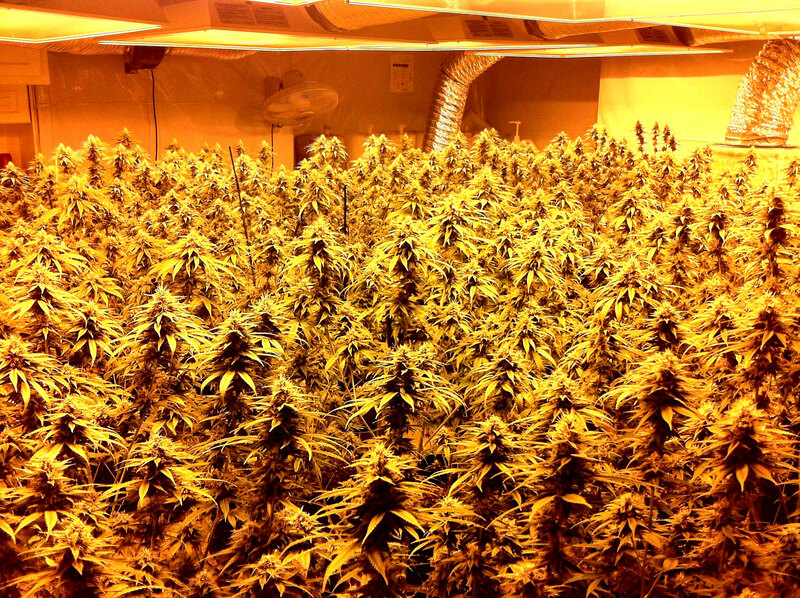 If you have a sealed room, then you will need to keep adding CO2 based on how much your plants are using. If the room is not sealed, you will need to replace CO2 at a rate equal to the amount plants use plus what’s being vented out. It’s recommended that you regularly test and monitor that CO2 levels are staying where you want them to be. Because this is tough for most growers to calculate accurately, it’s highly recommended you get a controller that measures and regulates the amount of CO2, and adjust the CO2 injection based on the current readings! A complete climate controller will make your life a lot easier!